Come make art together! The first Wednesday of each month, anytime between 10:00 a.m. and 12:00 p.m., children ages 2-3 with an adult are invited to explore art media related to BAM’s exhibitions. Dress for mess! Bring a container if you would like something in which to carry home your artwork. March 6, 2019 Make your own stamp. April 3, 2019 Create a drawing. May 1, 2019 Decorate a paper donut. June 5, 2019 Create a collage with a pattern. July 3, 2019 Paint a picture with dots. August 7, 2019 Play with clay. BAM offers extended hours on the First Thursday of each month from 10 a.m. – 8 p.m. along with special programs including Ask a Docent at Noon and 2 p.m., Art Break Tour at 2 p.m., and Studio Art Exploration and Art Answers from 4 – 7 p.m.
Drop in 4 – 7 p.m.
Art lovers of all ages and abilities are invited to drop in and explore art media in the Albertson’s Education Studios. March 7, 2019 Explore Crow’s Shadow Institute of the Arts at 25 and make your own print. April 4, 2019 Delve into 2D and 3D art making after visiting the 2019 Boise State University Biennial Faculty Exhibition. May 2, 2019 Create a work of art inspired by Jae Yong Kim: Donut Ever Forget Me. June 6, 2019 Visit Sarah Sense: Cowgirls and Indians and use paper and photographs to create your own weaving. July 4, 2019 View Stephanie Wilde: Introspective and create a print with patterns and textures. August 1, 2019 Explore Ceramics and Textiles from the Southwest: Gifts of the Carley Collection and create your own object. A comfortable way for visitors of all ages to learn more about artwork, exhibitions, artists, and materials. Just look for the ‘Ask Me’ sign in BAM’s galleries! March 7, 2019 Discover printmaking techniques in Crow’s Shadow Institute of the Arts at 25. April 4, 2019 Explore the 2019 Boise State University Biennial Faculty Exhibition and speak to the artists about their processes. May 2, 2019 Learn from a ceramicist about the glazing and firing processes in conjunction with Jae Yong Kim: Donut Ever Forget Me. June 6, 2019 Speak to a weaver after exploring Sarah Sense: Cowgirls and Indians. July 4, 2019 Learn about printmaking while examining the detailed artwork of Stephanie Wilde: Introspective. August 1, 2019 Learn about different types of clay used in ceramics in conjunction with Ceramics and Textiles from the Southwest: Gifts of the Carley Collection. 3rd Sunday of each month | 1 – 3 p.m.
Join local artists and experts for afternoon demonstrations and special hands-on experiences related to the exhibitions. The third Sunday each month from 1:00 – 3:00 p.m. Free with admission. 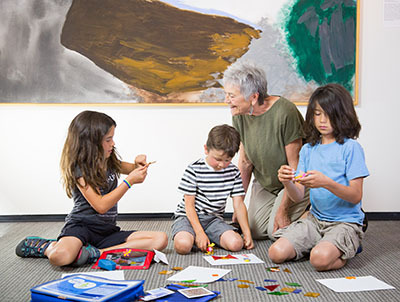 Last Saturday of each month | Noon – 3 p.m.
Children accompanied by their adult friends are invited to drop in any time between 12:00 p.m. and 3:00 p.m. on the last Saturday of the month for a hands-on art workshop. This program is recommended for children ages 12 and under, accompanied by an adult. March 30, 2019 Visit Crow’s Shadow Institute of the Arts at 25 and create a print edition. April 27, 2019 Create your own sculpture after visiting the 2019 Boise State University Biennial Faculty Exhibition. May 25, 2019 Create a work of art inspired by Jae Yong Kim: Donut Ever Forget Me. June 29, 2019 Create a multi-layered collage inspired by Sarah Sense: Cowgirls and Indians. July 27, 2019 Explore the work of Stephanie Wilde and create a painting. August 31, 2019 Investigate the Carley Collection and create a work of art with different types of lines. 3rd Wednesday of each month | 10 a.m. – 5 p.m. Seniors (62+) receive free admission all day on the Third Wednesday of each month. Senior Tour | 2 p.m.
BAM invites area senior citizens to a docent-led tour featuring a different exhibition each month. Every Thursday | 2 p.m.
Every Thursday at 2:00 p.m. enjoy a 30-minute talk presented by BAM Docents focusing on artwork found in the Museum’s exhibitions. Free with admission. BAM members FREE. Pick up copy at BAM’s front desk when you visit, or download a copy now! This project was made possible in part by the Institute of Museum and Library Services MA 11-16-0430-16. Available any time you visit the Museum! 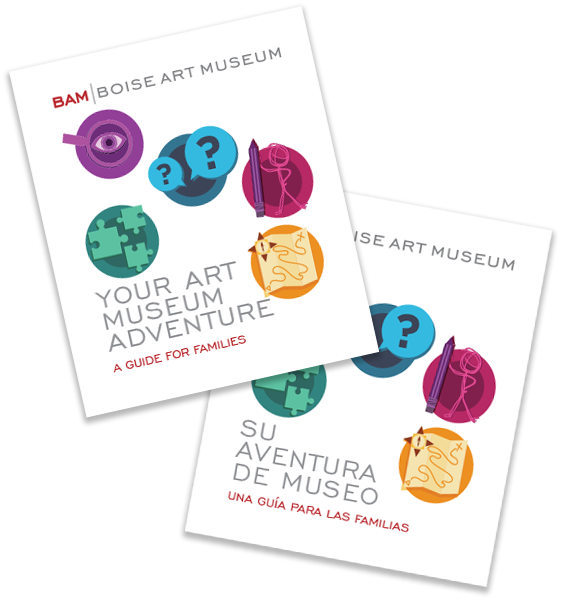 BAM offers activity packs for families with children ages 4-12 to use as they explore the Museum’s exhibitions. Includes games, stories, and more!